Little did I know that when I was in the 1998 class of Leadership West Virginia (LWV) that I would later become executive director. Each year brings a diverse group of professionals who are passionate about West Virginia. In 2018, we had 55 members – one of the largest classes to date – who were tasked with a specific challenge. Asked to create a project with a lasting impact that will capture the voice and attention of West Virginians, the #ChooseWV video is intended to be hopeful, unifying and motivational for state residents, and for those who may want to relocate here. Though the creation of a class project is not new, it’s exciting to see what motivates each class and how they turn their ideas to benefit West Virginia into project realities. For example, the class of 2016 helped remodel a home after flooding in Greenbrier County and joined efforts to collect shoes for a needy community. The 2017 class raised funds to buy, fill and deliver backpacks to needy children in Harrison County. The new 2019 LWV class has been chosen, and invitations have been distributed. Applicants selected demonstrate skills and experience in activities, public affairs and in their careers. Although from different regions, with various backgrounds and talents, they all have an abiding interest in West Virginia and her future. A new year brings excitement for the class and new projects. We look forward to expanding partnerships that complement LWV’s vision to move West Virginia forward, whether through education, economic development or a unified vision. I love that LWV “feeling” and I can’t wait to see what lies ahead! 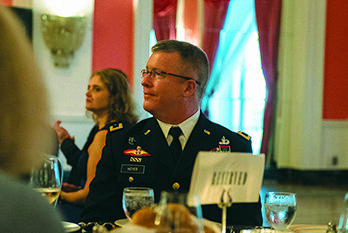 Leadership West Virginia is an innovative program that grows, engages and mobilizes leaders to ignite a lifelong passion to move West Virginia forward. The LWV alumni has grown to about 1,400, as has support, engagement and statewide recognition of the program, although we’re missing participation in the program from one county. We continue to expand our events and welcome new partnerships. In 2018, we launched our second Annual Giving Campaign. Like most non-profits, we cannot operate without our donor support. With a goal of $30,000, in early October we had received half of our needed funding, as well as donations for individual scholarships as part of the scholarship campaign. Now, I ask that you think about your time in the program. The great times, the education, the positive impacts, the lasting friendships. If you want the program to succeed; if you understand our challenges and the successes we achieved, and if you’ve not given back, what is stopping you from making a pledge? You’ll receive a letter from LWV soon – please don’t disregard it. Please understand that even a small gift will make a difference. Imagine the impact of the program if we received 1,000 donations of $25. If you’d rather donate your time to the program, we encourage you to do so – join a committee, engage with your chapter, or call us to learn more. Thank you for your continued support to LWV. P.S. Remember your donations are tax deductible! We would like to extend a huge ‘thank you’ to our partners for their support of, or participation in, the program in 2018. We would like to thank all of the individuals who have given to the LWV scholarship fund and Annual Giving Campaign as of December 18, 2018. Our legacy donors have given directly to support the LWV scholarship fund with a substantial monetary gift. To find out more about giving back to Leadership West Virginia visit our website. Since 2013, Leadership West Virginia (LWV) has recognized distinguished alumni whose continued leadership demonstrate the highest standards within the state and set an example for aspiring leaders. 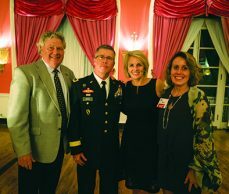 Adjutant General James A. Hoyer of the West Virginia Air National Guard was honored with LWV’s Distinguished Alumnus Award in a special ceremony during the annual WV Chamber of Commerce’s Business Summit at The Greenbrier Resort in August. 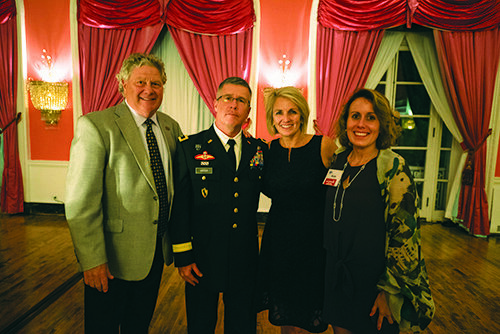 During his nearly 40-year military career, the Charleston native has led more than 6,500 men and women through numerous drills, tours, and other activities. 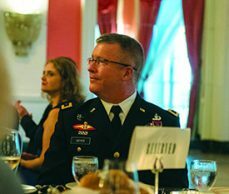 He has vastly expanded the Guard’s role, adding an aircraft engine rebuilding program and cost-savings programs that have put hundreds of West Virginians back to work. In July, Governor Jim Justice appointed Hoyer to lead the RISE WV flood recovery program, which was designed to provide relief to those affected by major flooding in the southern part of West Virginia in 2016. Hoyer and his team have been focused on taking care of the impacted people, at deliberate speed, in compliance with FEMA guidelines and through transparent communication. Friday, Nov. 30 in Kingwood, Leadership West Virginia (LWV) hosted its fifth Mountaineer ChalleNGe Academy Leadership Training Day. 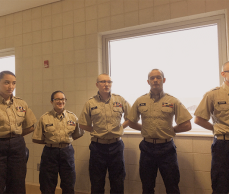 The Mountaineer ChalleNGe Academy is a high school education program of the West Virginia National Guard with a goal of providing cadets with a safe, secure and structured learning environment and hands-on career training program offerings. Nearly 90 percent of cadets complete the program and earn their high school diplomas in only 22 weeks. 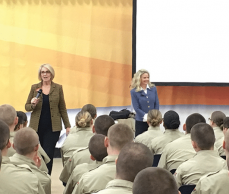 The Mountaineer ChalleNGe Academy looks to LWV to help provide mentors who can help young people prepare for post graduation. Typically, 20 to 30 volunteers are needed for the program in industries ranging from healthcare, culinary and tourism to agriculture, manufacturing, electrical and coding. 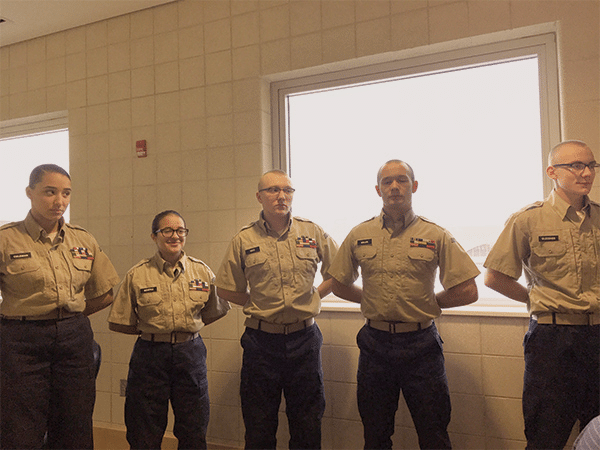 to host mock interviews with cadets. They receive coaching and feedback from interviewers, and LWV alumna Pam Harvit also provides them etiquette training as a part of the program. Please contact Kate Reed, kreed@leadershipwv.org, if you’d like to volunteer. Effective leadership is a learned trait which takes years of experiences to perfect. Leaders have a number of responsibilities to their communities, industries and state. Most often they are looked to for inspiration, guidance and service; not only in their journeys, but also in the journeys of those with whom they interact daily. The goal of Leadership WV (LWV), now celebrating its 28th year, is to grow, engage and mobilize leaders to ignite a lifelong passion to move the state forward. The first session of the program begins in the state’s capital city of Charleston. Alumni, sponsors, donors and others meet with the new class members during the two-day welcome session to kick off the year’s program. 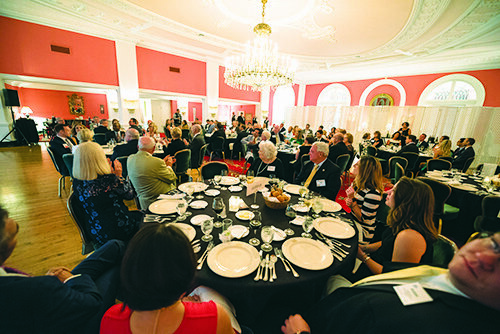 This session, which was hosted at by the BB&T Foundation, lays the groundwork with class members for the program’s goals and plans, as well as facilitating networking and conversations among the who’s who of business in West Virginia. This session provides an intriguing and exciting segue into the program’s agenda, planned to take place throughout the next seven months of the year. The class members engage in educational and fun activities and are met with stories from alumni – who often provide meaningful insight and humorous narratives of their experiences in past years. Class members participate in Myers-Briggs personality profiles to help them learn, or better understand, their strengths and weaknesses and ways in which they can use these traits in their work and personal relationships. Additionally, they learn etiquette tips that can be applied in business settings locally, regionally and even in opportunities to work with other cultures. During this session, the class is presented with the opportunity to create a project that will prepare them as leaders to move West Virginia forward. As class members explore personal growth opportunities, while getting to know their peers, it’s always exciting to be a part of the program’s newest class of business leaders. Alumni participate in LWV by attending various events, nominating candidates for future classes and donating. We’ve got to learn how to package this sense of hope and excitement about West Virginia’s future and take it to the masses. 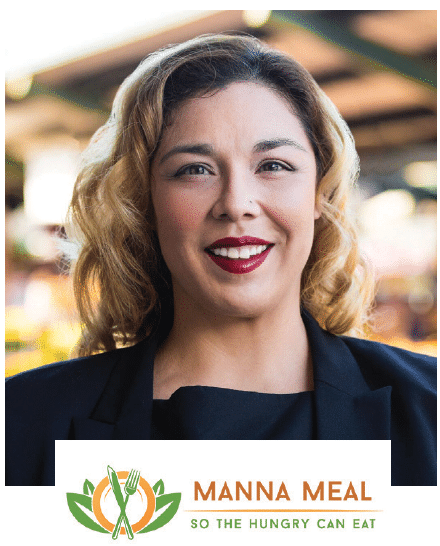 EXECUTIVE DIRECTOR, MANNA MEAL, INC.
Tara Martinez helps communities find hope. The 2018 Leadership West Virginia (LWV) graduate is applying what she learned to inspire change. She said she has a new perspective and sense of ownership of the state, thanks to LWV. For example, the economic development session in the eastern panhandle was “eye-opening, inspiring.” She says there was so much hope in the region she wasn’t used to feeling that it made her emotional. This sentiment is exactly what LWV is about – an innovative program that grows, engages and mobilizes leaders to ignite a lifelong passion to move West Virginia forward. Having only graduated in November, Tara has recruited five colleagues to apply to the program – most of them are minorities, like her. 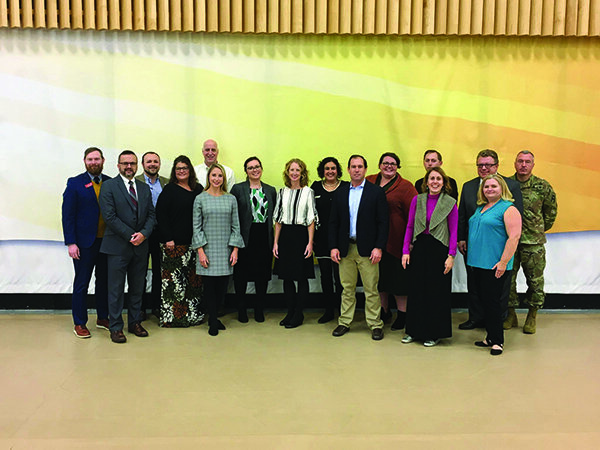 “Diversifying the alumni will increase perspective within the expansive group of leaders and place more minority representatives in leadership positions,” she says. With the help of LWV, she’s ready to make a lasting impact in her community and West Virginia. 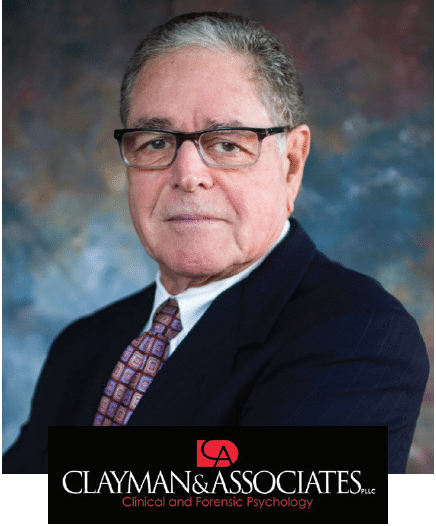 David Clayman is an annual investor in Leadership West Virginia (LWV). to serving the program in multiple ways. He teaches sessions each year and at graduation shares words of wisdom and encouragement that apply the year’s lessons to the class’ workplaces and communities. He says he’s open about challenges the state faces like the difficulty moving on from depleted industries and a lack of competition. But, he also recognizes it vast potential available with the environment, tourism and its amazing people, and encourages others to learn more by going through the program. He says he’ll participate in the program for years, and compares his statewide connectivity to a ripple effect, spreading knowledge and forming relationships from every region within the state. 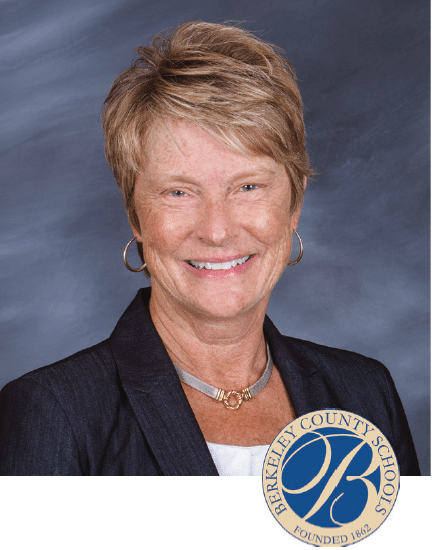 Bobby Blakley is a 2013 graduate of Leadership West Virginia (LWV). He says deciding whether to invest in LWV was an easy choice. 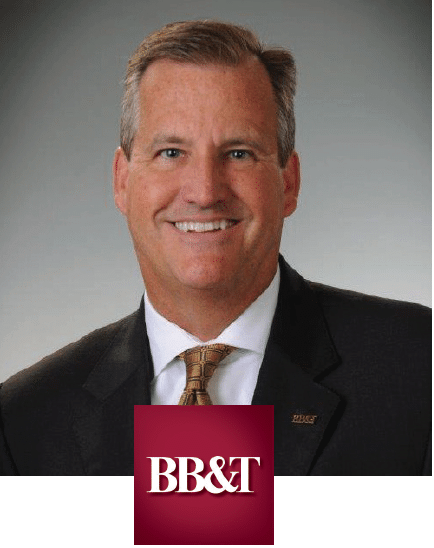 He wanted to do his part to support the state’s growth, vitality and advancement, which is why BB&T was a sponsor of last year’s program. He says he participated as a way to educate himself and others on the importance of the banking industry in West Virginia. Banking has the No. 1 market share in the state and of 15 states in which BB&T is located, West Virginia is the only state with this distinction. He says he also recognizes the obstacles facing the state. “Recruiting jobs so our citizens who love West Virginia will stay, while also attracting migration to this area is our biggest challenge,” he explains. To counteract this, Bobby believes the strengths of West Virginia need to be highlighted. The LWV experience is valuable, he says, and advises class members to “go all in, put as much of yourself into this program as possible!” The broader knowledge of the state and the network of professionals from across the state that can be gained because of this program is well worth the investment. The education session, hosted in Morgantown, always provides class members insight and perspective into each layer of the state’s education system – its current successes, challenges and even trends. Education plays a major role in all of our lives, both directly and indirectly, so it’s important the class understands the impacts of a quality education and ways in which the state is preparing students for the workforce. 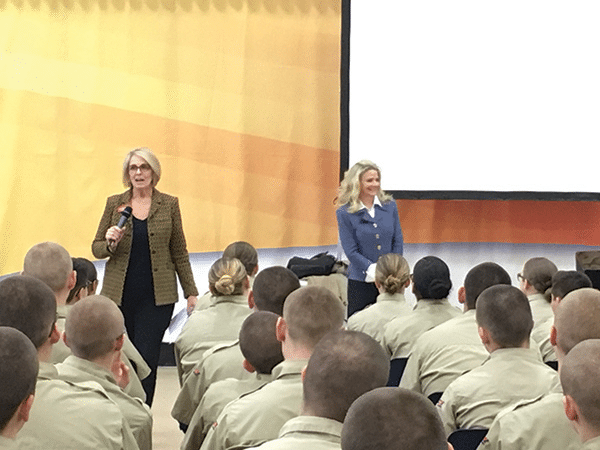 The class hears from speakers on topics ranging from leadership development to workforce initiatives. LWV has partnered with the WVU Extension Services Community Leadership Academy during this session for the past years, giving the class an opportunity to network with educators from West Virginia’s flagship university. The top activities that our alumni remain involved in after graduation are education related. We wanted to align our core company values with what Leadership West Virginia is achieving throughout the state. There is a huge amount of value in this program for us. Elaine Bobo graduated from Leadership West Virginia (LWV) in November. The eastern panhandle resident says she fondly recounts the economic development session in Martinsburg. Seeing her area through the eyes of her classmates and watching them take in what the region has to offer was fun and inspiring. Elaine says she believes her diverse class created lasting experiences and lifelong friends. Exposure to communities she had never visited allowed her to live like a local for a day, providing motivation to become involved in communities statewide. Elaine believes the state can improve by breaking stereotypes. “We get stereotyped from outsiders and become too focused on rankings.” West Virginians should recognize what the state ranks highest in, embrace those sectors and use our state pride to influence others, she adds. Elaine will tell future class members to take advantage of the opportunity set forth by LWV and be supportive of what it can contribute to their personal and professional lives. Lydotta Taylor has been a longtime supporter and investor of Leadership West Virginia (LWV) for many years. A 2000 program graduate, she says her experience was so impactful that she decided to give back as much as the program gave to her. First becoming a board member, she then turned to helping plan sessions and presenting on generational diff erences in the workplace. She says she hopes future class members will be inspired to work with other classmates to address ongoing issues and help move the state forward. She quotes Margaret Mead, “Never doubt that a small group of thoughtful, committed citizens can change the world; indeed, it’s the only thing that ever has.” Lydotta says this motivates her to embrace the opportunities she sees within the state, and she wants to keep West Virginia’s best and brightest home where they can thrive and grow. Whether planning sessions for the year ahead or presenting to new classes, Lydotta continues to be a committed member and valuable asset to LWV. Tim O’Neal represented Dow’s sponsorship of the Leadership West Virginia (LWV) education session in Morgantown. 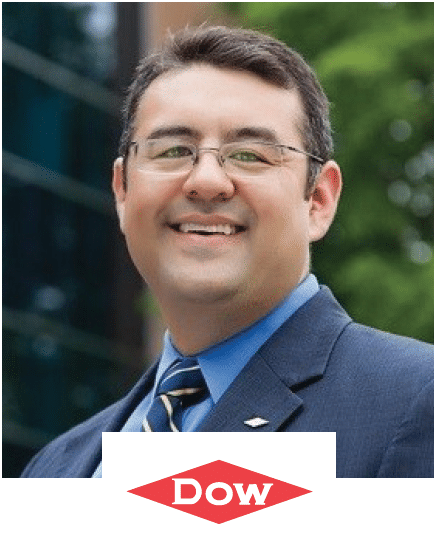 Dow might have chosen the energy or economic development session, but education – especially STEM – is an initiative O’Neal says company leadership believes deserves a strong focus. Tim recognizes that industry growth and the growth of West Virginia go hand in hand. Shale gas provides an opportunity for Dow to help boost to the economy and create new jobs. Tim says West Virginia needs an ethane storage hub, an economic driver for big-name manufacturers to bring prosperity to the region; but motivating the state’s youth is a problem. “We see the opioid epidemic impacting our young people, so how do we inspire them to become reformed? We need to give them something to look forward to.” He sees the promise of a well-paying job as a solution. He says Dow plans to continue tackling these issues, promoting industry growth and participating in LWV for years to come. What is a state’s business climate? Why is a strategy for economic development and job growth so important? Class members delve into the different dimensions of economic development during this session, traditionally hosted in the Eastern Panhandle. With the help of local economic development representatives, business and community leaders, the class hears from a number of speakers and engages in an interactive practicum to show how growth in West Virginia can be developed and nurtured. The practicum, created by LWV alumnus Pat Kelly and called the “Economic Development Simulator,” allows the class to understand how the growth of a community begins – from thought to finish. Much of the session focuses on inspiring economic development, as well as the sometimes-necessary change within the state to best strengthen the workforce and allow West Virginia sustained growth. Alumni believe the LWV experience helped shape attitudes about their community and leadership practices and behaviors. …this program opened so many doors to new relationships that I know will last a lifetime. 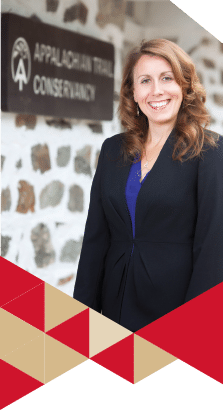 Lindsey is a 2018 Leadership West Virginia (LWV) graduate who spent the past year building relationships, learning from industry leaders and becoming an ambassador of the program. Lindsey says she believes state residents should share their stories and LWV offers a platform to do so. “A lot of the people who are doing really great things in West Virginia are from smaller off ices, and their stories aren’t always heard,” Lindsey says. 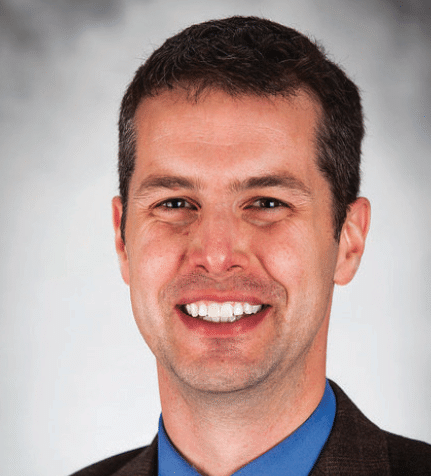 CD Linton has been involved with Leadership West Virginia (LWV) since he was a member of the class nine years ago. 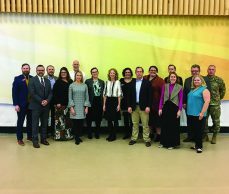 He remains committed to the program in a number of ways including serving on its board of directors and several of its committees, sponsoring events and activities and presenting to class members. The mission of LWV is to provide further education for managerial leaders and pinpoint the state’s issues and create a solution, he says. Education is West Virginia’s biggest opportunity, and success is not dependent on a four-year college degree, he says. CD gives presentations across the state about the opportunities that lie in career and technical centers, trade schools and certification programs. “We need to show parents and students that there isn’t one singular educational avenue to ensure a prosperous future.” This is the key to lower outmigration and building a stronger workforce, he says.CD says he wants to use his position with LWV to inspire future leaders, change perceptions and implement change. 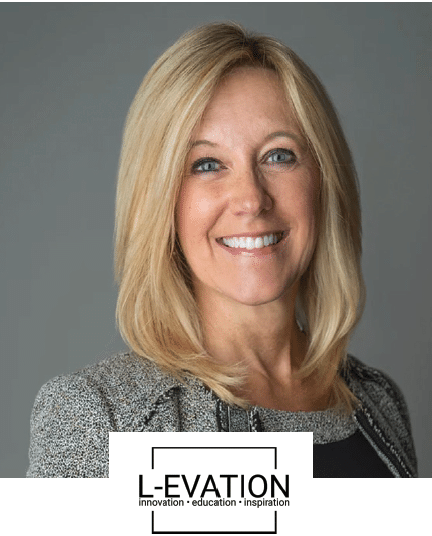 Sammy Gray is a 2007 Leadership West Virginia (LWV) graduate who serves on the board of directors and remains committed to the company’s session sponsorships each year. For him, LWV is as much a resource to implement growth within FirstEnergy as it is a chance to give back. 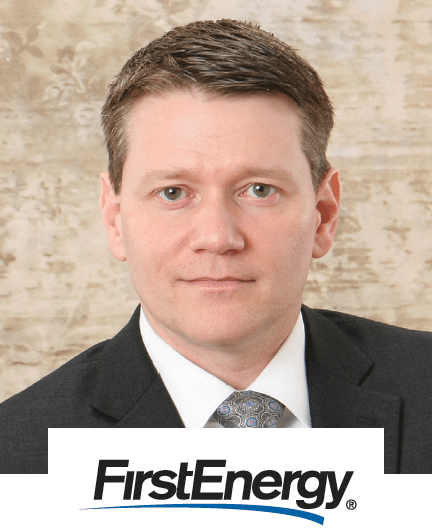 FirstEnergy sponsors the economic development session in the eastern panhandle, helping to provide financial support, but also an invaluable insight into the industry. One of the messages he tries to communicate to the LWV class is the importance of shale to the region. Downstream manufacturing will create many jobs and opportunities for West Virginia. Sammy says he believes economic development is a crucial component to growth and prosperity in West Virginia. “Finding continued education of leadership skills for our management team can be a challenge and this program facilitates key lessons and experiences our team needs. “What is good for West Virginia is good for First-Energy; if the state does well, First Energy does well,” he adds. So, what is Sammy’s advice to those who are preparing for the program? He says to embrace everyone because each connection will further enrich the experience. Tourism is an integral part of West Virginia’s economy, so LWV aims to ensure class members understand not only why tourism is important, but also what a jewel the state’s topography is for tourists across West Virginia and beyond her borders. And since the best way to learn is by example, the class heads to the New River Gorge for hands-on learning and fun at Adventures on the Gorge – an ever-evolving pioneer in the tourism industry. Bridge walks, rock climbing, zip-lining and other activities allow the class to experience the state’s tourism potential first hand instead of just hearing about it. 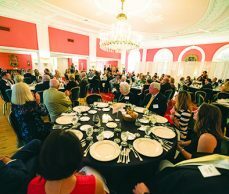 Speakers relay why the area is so special while also embedding into class members how tourism saturates so many other facets of West Virginia’s economy, at local, regional and statewide levels. Alumni tell us they believe their LWV 8-month experience inspired them to foster collaboration among others. 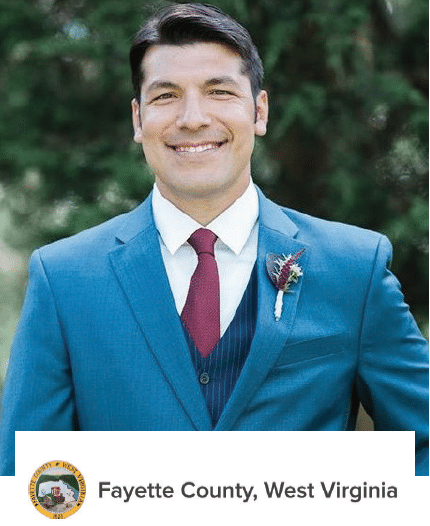 Gabe Peña spent the past year in the Leadership West Virginia (LWV) program learning about issues important to West Virginians. He gained invaluable insight about the successes and challenges we face as a state and expanded his knowledge within his own sector – economic development, which was also his favorite session in the program. The session was hosted in the eastern panhandle where “economic development in this part of the state is a different kind of animal compared to southern West Virginia,” he explains. Gabe gained a new perspective about several industries he rarely works in. In the past, his concern about environmental justice had influenced his opinion of those who work in oil and natural gas, he says. He also hopes for more diversity in future LWV classes. He’s already begun recruiting minority leaders to nominate for the program in future years. 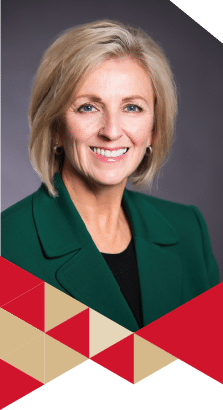 Sharon Cruikshank is a 2005 Leadership West Virginia (LWV) alumnus, regular sponsor and proud program advocate. In 2005, Sharon says she saw an opportunity to expand the program’s tourism sessions. Formerly, class members would hear from industry representatives in a classroom. But she knew the only way to grasp what the state really had to offer was to experience it. So, she worked to bring the tourism session to the Adventures on the Gorge, and outdoor recreational experience in Fayette County. Sharon considers LWV a college-level experience. “You feel like a freshman again, ready to soak up as much knowledge as you can and connect with fellow leaders,” Sharon explains. She thinks West Virginians need to do more than look outside the box, they need to look at the sides of the box, under the box and over the box. 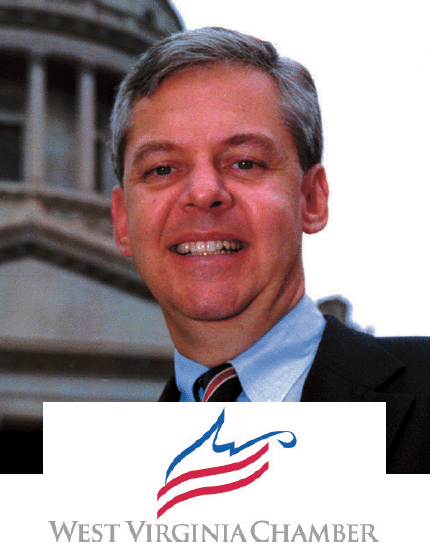 Dave Arnold is a longtime supporter of Leadership West Virginia (LWV). He often speaks about the state’s tourism industry to the program’s classes. Often, the classes participate in activities at the recreational destination during the session about tourism. 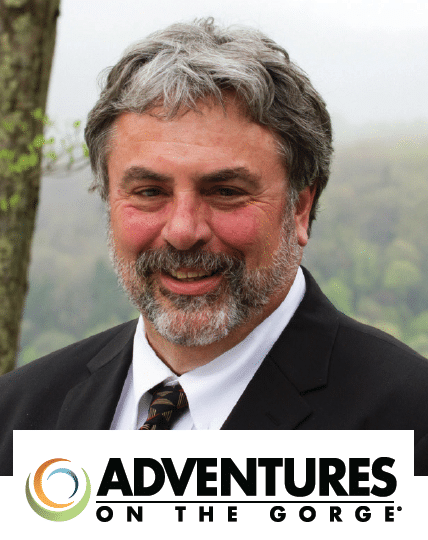 Passionate about determining the many ways in which West Virginians can promote the industry, Dave has been instrumental in helping Adventures on the Gorge become a sought-after vacation destination. Dave says he believes the backward opinion many have about West Virginia could be overcome through time and hard work. “This is a great place to operate; we just have to get that message across.” Dave’s love for West Virginia and involvement with LWV is far from over, he says. The justice system is so deeply ingrained within every industry in West Virginia, LWV not only wants class members to understand its many facets but also get a taste of what serving as a legal expert entails. This system, serving to interpret and apply the laws enhanced each year by the state legislature, proves invaluable and upholds the many regulations to safeguard industry, education, and community. 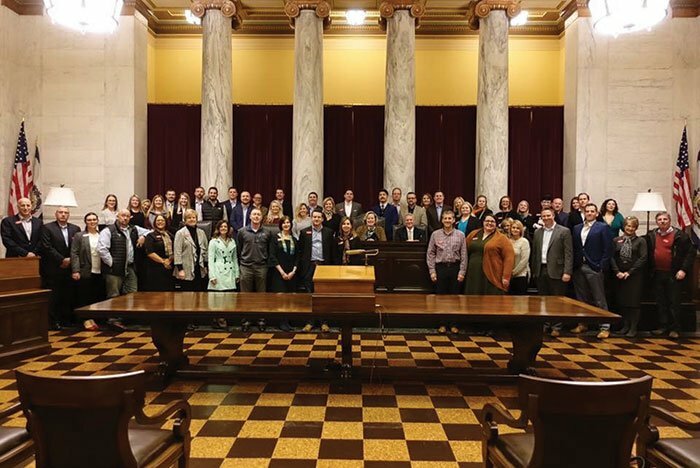 Class members travel to Wheeling and dive headfirst into the legal world during this session – hearing from speakers covering topics ranging from philanthropic leadership and human resource issues to even a history lesson of the judicial system in the state. A mock trial takes place at the U.S. District Court of the Northern District of West Virginia, where the class applies what they’ve learned and enjoyed a firsthand experience in the courtroom. Our alumni agree they feel confident and capable as a leader as a result of their LWV experience. Some of my best friends are those I’ve made as a result of Leadership West Virginia. A 2018 graduate of Leadership West Virginia (LWV), Randy Saunders is a West Virginian by choice. 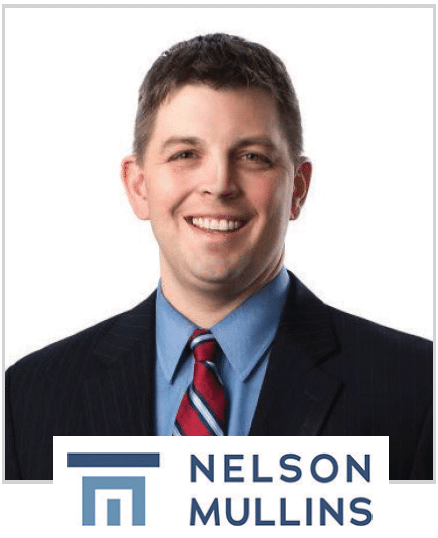 A partner at Nelson, Mullins, Riley and Scarborough in Huntington, the Iowa-born attorney says he can attest to how easily one can fall in love with West Virginia, and traveling around the state with people in his class who are engaged, passionate and have a sense of pride just deepens his roots. Randy says what he enjoyed most from the program was the opportunities to peek inside different industries in different parts of the state. For example, while in Martinsburg during the economic development session, he enjoyed the various topics from speakers in the area as well as the activities including the tour of historic Harper’s Ferry. “It was so interesting to be engaged in this session where I can see the ongoing progress and how this will affect the communities in surrounding counties, while also reflecting on the history of the region,” says Randy. In addition to meeting new people and exploring the state, Randy says while in the program he learned a bit about himself and ways he can improve on his leadership and communications skills. 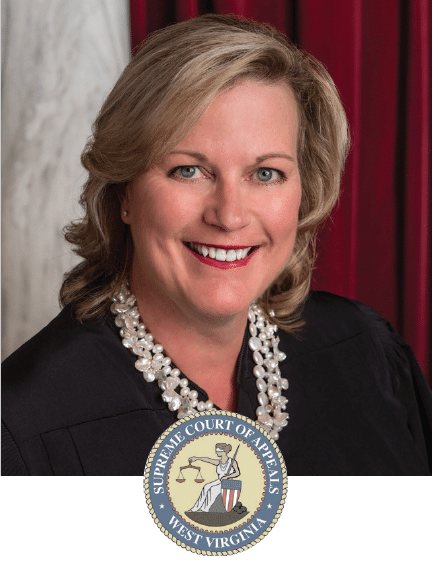 On January 1 Beth Walker became chief justice of the West Virginia Supreme Court after serving as justice for several years. This role comes 20 years after she was a member of 1999 Leadership West Virginia (LWV) class. 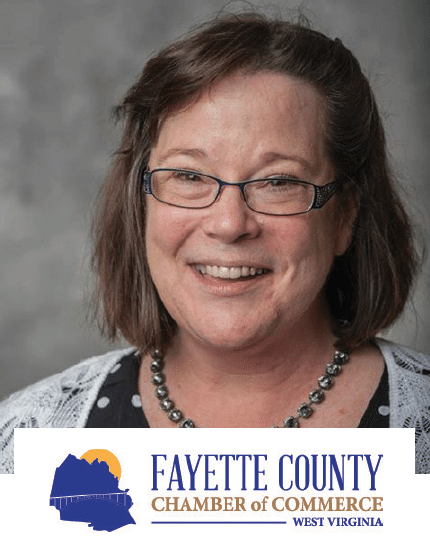 Beth continues learning about issues affecting West Virginians in different parts of the state and the many facets of the state’s business and nonprofit communities – two aspects of the program she says she thoroughly enjoyed. A former LWV Board of Directors, Beth says LWV influenced her commitment to public service and said it was a factor that led to her election as a Supreme Court justice. Beth often refers candidates to the program, especially those who weren’t born and raised in West Virginia. “It’s a wonderful way to learn about the state and make excellent professional contacts,” she explains. She has fond memories of the program and says she is hopeful the alumni engagement activities continue to grow so she can remain in touch with her former classmates and board members. 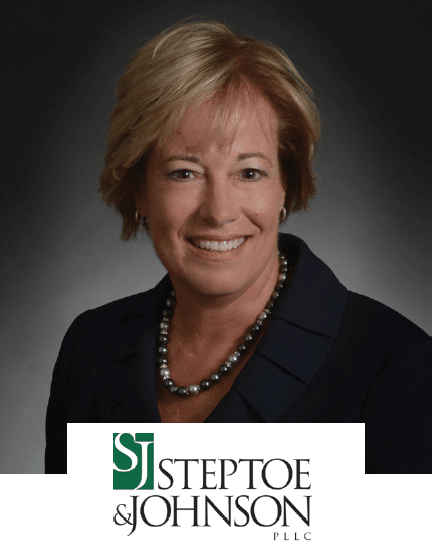 Susan Brewer, CEO and managing partner at law firm Steptoe & Johnson, PLLC, is a longtime supporter of Leadership West Virginia (LWV) who often speaks to classes on various topics during the legal session. 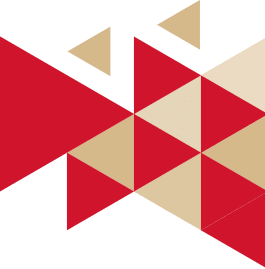 Steptoe & Johnson has been a proud sponsor of LWV for more than 20 years, and nearly 30 of the firm’s attorneys have graduated from the program. “West Virginia is our home,” Susan says. The firm was founded more than a century ago in West Virginia and remains in the state today. She says the lack of a qualified workforce is a problem in the state, and outmigration of young leaders goes hand-in-hand with this issue, but it also provides opportunities. LWV needs to target young, driven and entrepreneurial leaders, she says. For her, finding the proper work/life balance to maintain her sanity, keeping a sense of humor and quality relationships, while growing and gaining wisdom doing enjoyable work, are her keys to success. As for Steptoe & Johnson, the firm and Susan remain committed to LWV. From coal to oil and natural gas, it’s impossible to travel throughout West Virginia and not find a community impacted in some way by the energy industry. As one of the top industries in the state, it’s important for everyone to keep up to date on everything from new organizations moving into the region to their impact on employment, regulations set forth at the state and federal levels, along with the major downstream effects. Hosted in Huntington, the class is welcomed by Mayor Steve Williams and participates in tours of local plants and museums while hearing from experts in both coal and oil and natural gas. This session serves as a bridge across the many diverse industries represented by the class members and allows differing perspectives to be respectfully explored and discussed. Class members gain an understanding of energy’s impact and a newfound respect for its industry professionals as an outcome from this session year to year. Our alumni say their leadership experience has caused them to rethink the way they do things. I enjoy interacting with those from different industries, learning from them and seeing what they have that I can put in my toolkit. A 2018 Leadership West Virginia (LWV) graduate, Kirk immersed himself in sectors of the program he wouldn’t typically find accessible. He made new connections and had several eye-opening experiences during the sessions. Before visiting an economic development session in Martinsburg, Kirk says he didn’t grasp the magnitude of growth in manufacturing and other industries in West Virginia. He believes energy is the largest economic opportunity. Leveraging the state’s natural resources can lead to a firmer foundation for multiple industries, attract new businesses and create a more skilled workforce. He says “economic tradition” is one of West Virginia’s obstacles. “Rooted deep into our history is a set of industrial and manufacturing experiences that guide West Virginia’s potential growth. Expanding our interests and technology options are keys to a successful future,” he says. Kirk says now that he’s graduated he plans to explore different regions of the state, participate in more civic activities and utilize his skills and experience to better West Virginia. 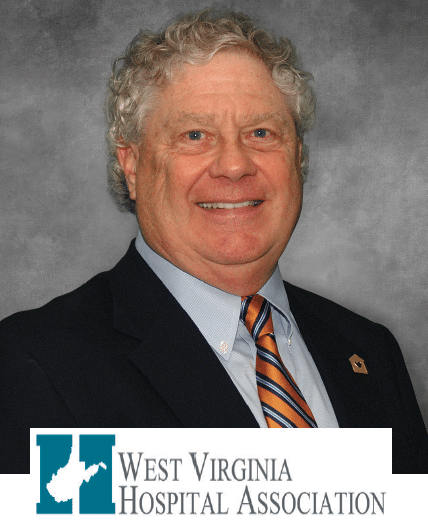 Mark E. Barnes is a 2012 alumnus of Leadership West Virginia (LWV). He currently serves on the board of directors and selection committee. he acknowledges the state has some big opportunities for improvement. Mark says he believes the state’s biggest obstacle is balancing technology against the environment. Increasing broadband connectivity is one of our greatest challenges, but an improvement that needs implemented. Mark says he believes LWV helps both his community and company. 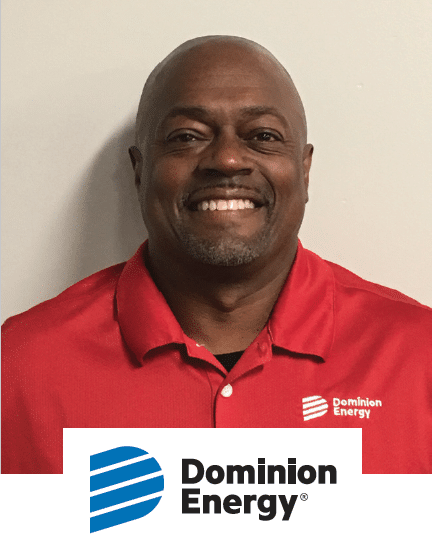 Dominion Energy sends employees through the program annually, and he’s seen how the program improves leadership skills. Rob Aliff’s career with the Charleston-based law firm, Jackson Kelly, extends more than two decades. He is a member in the health care and financial services industry groups at the firm. Rob and Jackson Kelly are longtime supporters of Leadership West Virginia (LWV). The firm sponsors a session each year – a way to hopefully inspire, to certainly give back and to lead by example. 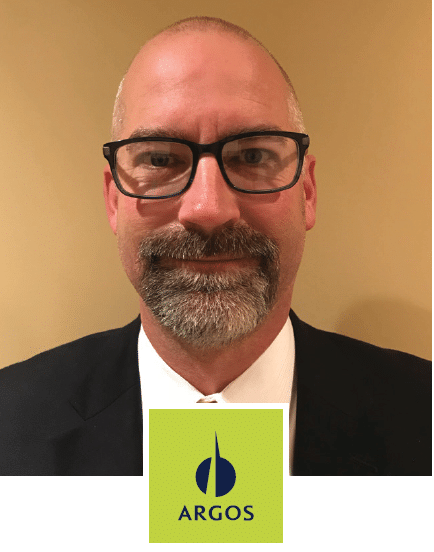 Having served in various roles including past chairman of the LWV board of directors and now in an advisory role, Rob says one of the values of the program is “having a diverse, like-minded group who appreciates what the state has to offer, working together to create solutions to problems. Every year he meets talented, enthusiastic and inspirational people doing great things for the betterment of West Virginia. 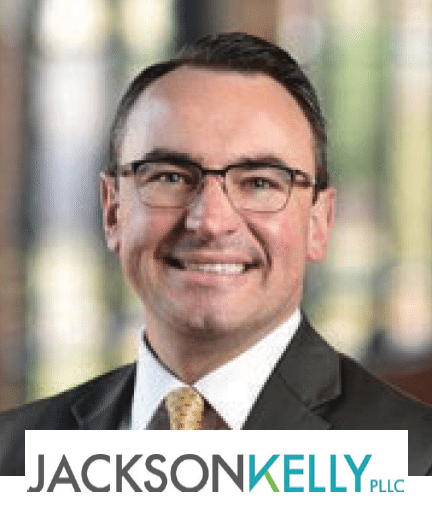 “This is why I stay active with LWV, and why I encourage Jackson Kelly to stay involved and send participants through the program. It’s all about solutions,” he says. Providing quality health care to West Virginia’s 1.8 million residents, while offering affordable health insurance plans to employees and their employers, has a number of challenges. Class members in this session learn about navigating the health care process and how the system impacts small and large business alike. Companies want to ensure their employees have quality health care coverage at a reasonable price, but it’s also companies’ biggest expenses. So, where’s the balance? The class hears from health care professionals, providers, manufacturers, and experts share their insight and perspectives on a number of health care topics ranging from pharmaceuticals and manufacturing to the challenges, successes, and trends in health care in the state. Class members were able to enjoy some ancillary activities during this session at The Greenbrier, such as interacting with trained hawks, owls and falcons during a falconry session after a history lesson from the resort’s resident historian. Alumni see the value in making financial contributions to civic issues that support personal values. Sit next to someone you don’t know. Connect. Open up. 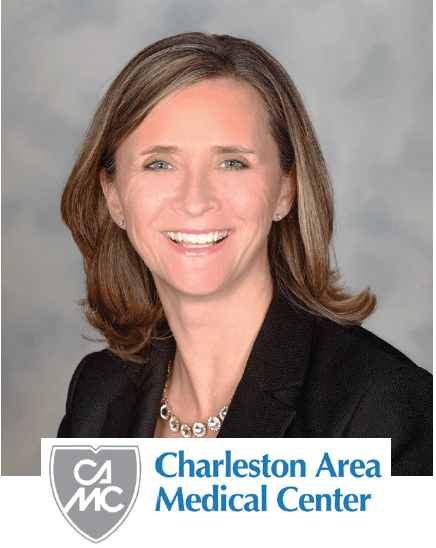 VICE PRESIDENT, HUMAN RESOURCES, CHARLESTON AREA MEDICAL CENTER HEALTH SYSTEMS, INC.
Kristi Snyder spent the past year as a class member in Leadership West Virginia. For examples, during a business etiquette presentation in March, she learned about handshakes and the best seat to occupy during meetings. She’s realized how the smallest detail can leave a lasting impression. She believes West Virginians should embrace change. 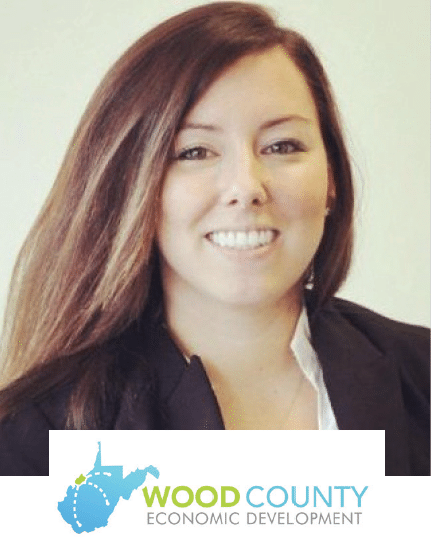 With more Millennials and Gen Xer’s in the workforce, her mission is to team with others to create a better West Virginia that appeals to these generations. Kristi has begun recommending colleagues to LWV and plans to offer possible enrollment into the program as a reward for deserving employees in the future. Danny Scalise is a 2012 Leadership West Virginia (LWV) graduate. He says the large network of professionals created with the high quality of people in the program is unmatched. From his time in class, he says he believes West Virginia is in a prime position geographically to increase economic development and distribution, but the obstacle is to resist being pigeonholed into certain industries. Danny will continue to participate in alumni activities of the program going forward. 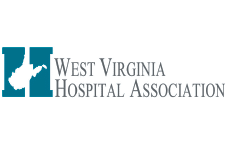 Years ago, West Virginia Hospital Association (WVHA) Vice President Richard “Rick” L. Miller knew he had to introduce Leadership West Virginia (LWV) to the Association’s board of directors because the goals of each program aligned so perfectly, he says. Also, there was great value in being able to connect with a diverse population of the business and government sectors and offer awareness and education about healthcare in West Virginia. With 70 hospitals in 42 counties, employing more than 42,000 health care professionals, the impact of the health care industry on West Virginia is great. For these reasons, Rick and the WVHA have been longtime supporters of LWV. The former board chairman who now serves in an advisory role, urges future leaders of West Virginia – many of whom will likely have gone through LWV – to remain upbeat. 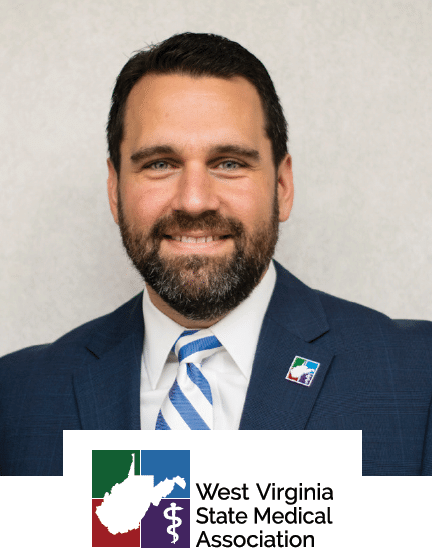 A few things he’s learned in his career and while being a part of LWV – “market West Virginia’s workforce, the way of life and its resources, and take advantage of as many relationships and as much knowledge as possible,” he says. A trip to the state Capitol is the highlight of the government session, which is always hosted in Charleston where the program began months before. Along with commencement activities, the class learns about the inner workings of government and gets a chance to see them in action. First, in the West Virginia Legislature, where the State Senate and House of Delegates debate and pass the laws that affect everyone’s future. LWV graduates and alumni will likely cross paths with lawmakers during their careers, or may decide to run for office themselves as they strive to make the Mountain State a better place. Class members toured Charleston’s newly remodeled Civic Center, now known as the Charleston Coliseum and Convention Center. The class had the opportunity to relax and enjoy a concert at the Clay Center’s Walker Theater, with entertainment from Lawrence Loh and the West Virginia Symphony Orchestra. LWV board members and alumni share their wisdom at commencement and former and fellow classmates ponder their pasts and futures prior to a graduation dinner, where members receive certificates of completion. A trip to the state Capitol is the highlight of the government session. Soak up as much as you can and then apply what you learn in your career and communities. Bill Bissett is a West Virginian who bleeds green and white. A Marshall University alumnus and 2018 graduate of Leadership West Virginia (LWV), Bill believes perceptions from non-West Virginians often are guided by how we as West Virginians tell our story. “We have to understand the story to tell it,” he says. Hearing a presentation during a session about generational differences within the workforce was an eye-opener. He urges participants to embrace each session fully, and devote sufficient time to the program. To get the best return on investment, “there must be an understanding that this is a learning experience that will challenge your current understanding of West Virginia.” He’s applying what he’s learned in the program to become a more experienced and well-rounded member of his community, he says. – many of which are connecting with West Virginians. He travels the state, visiting with people in all sectors of business. 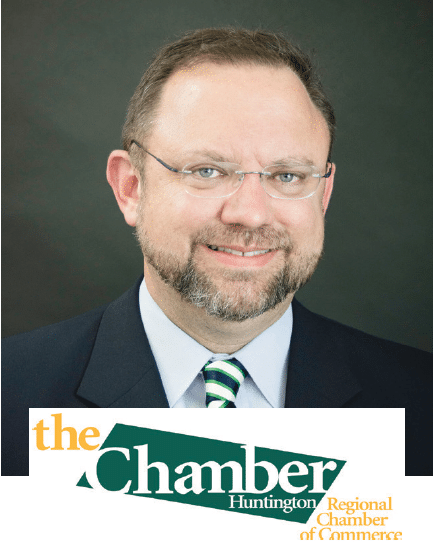 Making connections is important as chamber president, but it’s also vital to the success of LWV. Looking for business and industry experts willing to share their expertise, insight, and stories with LWV classes, and/or who may be interested in going through the LWV program is part of his responsibility. It’s hard work and takes dedication, but these also are his greatest joys, he says. His favorite session of LWV is the first when he tells the new class about West Virginia’s business climate, its challenges and successes, and trends. As LWV president he wants to remain on a course of continuous improvement as he believes there’s always an opportunity for LWV to up its game. 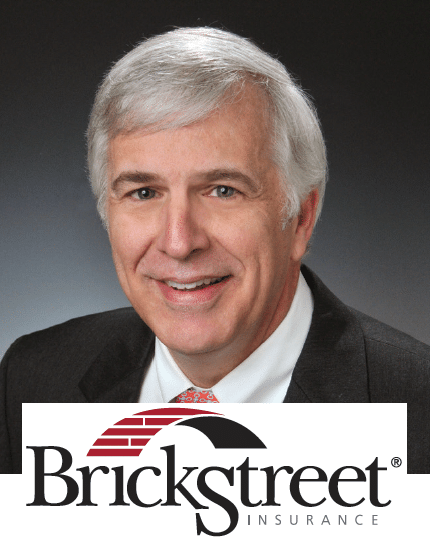 It’s vital that companies in West Virginia come together, learn from each other and give back, says Greg Burton, chairman of the board of directors for BrickStreet Insurance. These are the reasons why BrickStreet, under his direction, has been a longtime supporter of Leadership West Virginia (LWV). “BrickStreet is a West Virginia company, and giving back is something we want to do, should do and value doing,” he says. Greg says he believes BrickStreet’s ongoing presence in West Virginia is essential for growth. LWV’s ever-growing network of professionals across the state creates an opportunity for BrickStreet to connect, expand business and, in turn, look at employment opportunities for West Virginians, which is always a goal. However, expansion cannot be created without the support of an educated workforce and a strong infrastructure. Greg says he hopes new economic drivers will find its way to West Virginia, and he believes it’s the responsibility of the state’s leaders to implement these drivers, take hold of opportunities and use their experiences to create a better West Virginia. Do You Know Someone Who Should be a Part of Leadership West Virginia? Do you know experienced leaders in your industry or community wanting to make a statewide impact or expand their professional network? Are they passionate about West Virginia and looking to strengthen their leadership skills? As an alumnus, sponsor or supporter of Leadership West Virginia (LWV), this program is a perfect fit for such an individual(s). After nearly 30 years, LWV continues to mobilize leaders to ignite a lifelong passion to move West Virginia forward. Cultivating new leadership is important to future prosperity and progress. LWV needs your help continuing to work, develop and motivate state leaders to inspire others and foster a new spirit of energy, enthusiasm, and vitality. If you or someone you know may be interested in the program, please contact us. Applicants must demonstrate skills and experience in civic activities and in their professional careers. They also must possess an abiding interest in the state’s future. must possess an abiding interest in the state’s future. Please understand the time commitment associated with being a class member when considering or nominating someone for the program. LWV is composed of eight two-day sessions focused on key issues and hosted in various regions across the state. At each session, experts share information and resources about these topics and often host site tours, events, and other activities. Visit www.leadershipwv.org to learn more about the program, including tuition and scholarship offerings, and the nomination process. You may also email Pam Farris at pfarris@leadershipwv.org.